Volvo’s compact and mid-size crossover SUVs are like nesting dolls. The three-row 2018 Volvo XC90 looks like it could open up and swallow the five-seat 2018 Volvo XC60. Both are among our favorite family transporters, for mostly the same reasons. Their understated style perks up any driveway, while a high level of safety gear comes at a surprise given these crossovers’ relatively reasonable price tags. 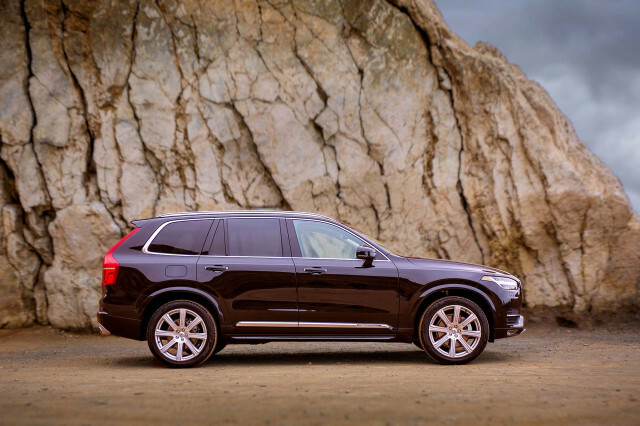 We rate the XC90 at 7.2 out of 10, while the XC60 comes in at a heady 7.5 out of 10. Neither earns a figure to be ashamed of. 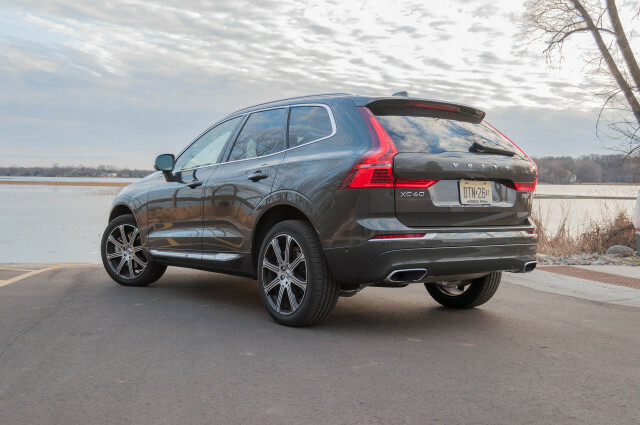 At 194.9 inches from bumper-to-bumper, the XC90 stretches about a foot longer than the XC60. 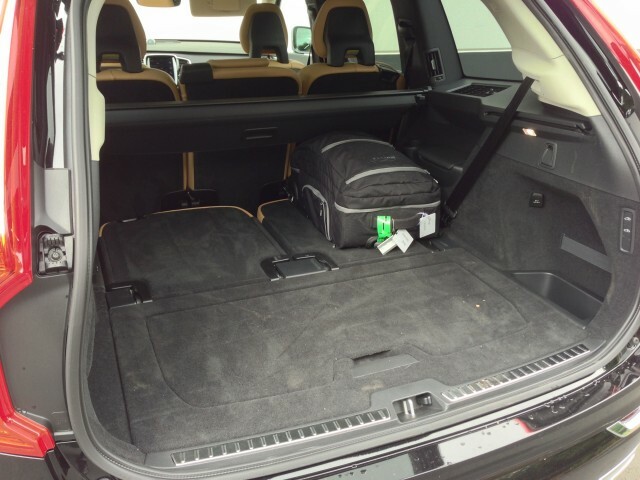 The XC90 is also about 5 inches wider, which helps it accommodate four passengers in exceptional comfort. The other three seatbelts on board aren’t worth fighting over, although the XC90’s third row is about par versus rivals such as the Audi Q7 and Acura MDX. 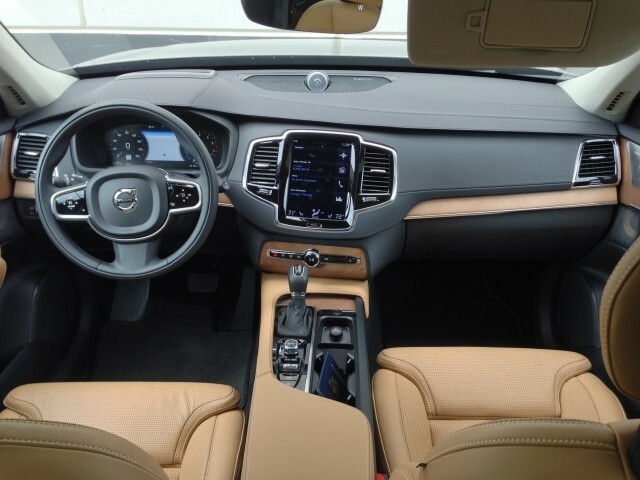 The XC60’s comparatively narrower interior reveals itself when three ride abreast in the rear. 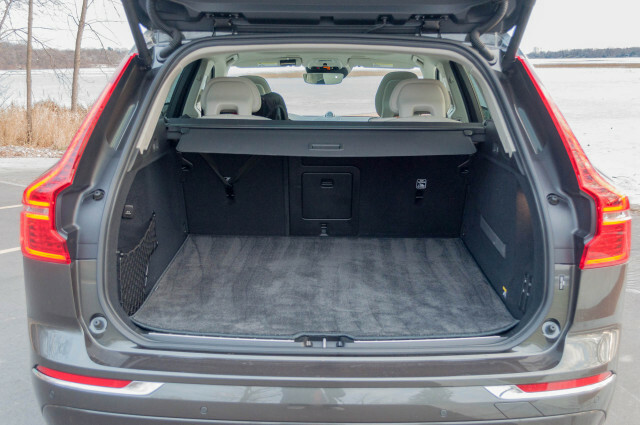 In terms of cargo capacity, the XC90’s hefty 85.7 cubic-foot maximum rating dwarfs the smaller XC60’s 63.3 cubes. Both utilize what space is there well, with low liftover heights, flat cargo floors, and convenient storage bins scattered throughout the cabin. 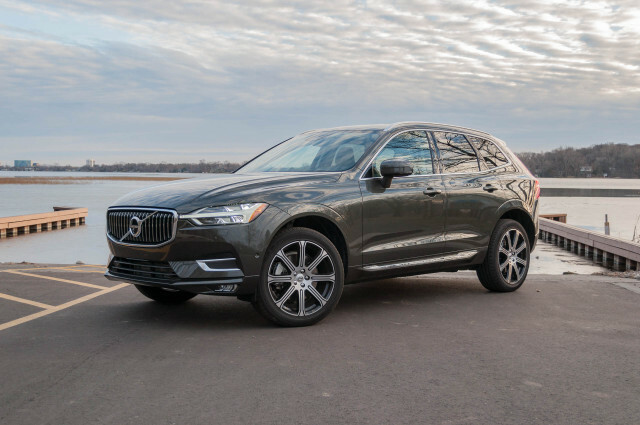 Sun belters might find the XC90’s base trim—a front-wheel-drive model—appealing, something the all-wheel-drive-only XC60 lineup doesn’t offer. 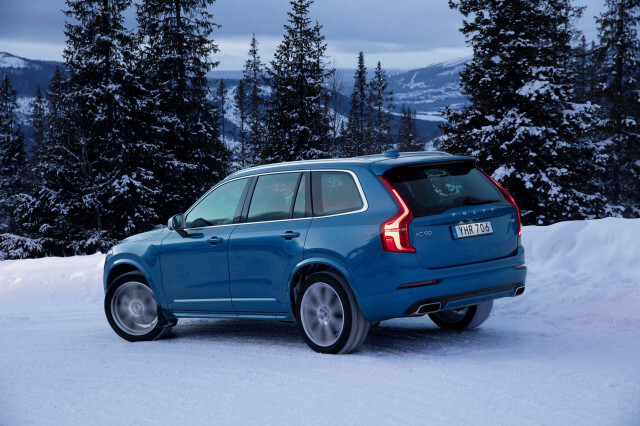 Both crossovers come standard with a 250-horsepower 2.0-liter turbo-4 that Volvo calls T5. A 316-hp version of the turbo-4 that’s both supercharged and turbocharged called T6 in Volvo-speak is optional. Topping the lineup on both crossovers is a 400-hp plug-in hybrid version of the T6’s engine that’s augmented by an electric motor and a lithium-ion battery back. These variants, called T8, can get pricey, but the EPA quotes an electric-only range of 18 miles for the XC60 T8 and 19 miles for the XC90 T8 that may offset some of the higher initial purchase price. Most of our time behind the wheels of these Volvo crossovers has been in T6 variants, which strike a nice balance between spirited acceleration and reasonable fuel economy. The larger XC90 doesn’t impart much of a fuel-economy penalty as T6 versions of both are rated at 23 mpg combined on the EPA’s test. Both crossovers have a comfortable, composed ride that’s just a tick behind the Audi Q7 in our eyes. An air suspension is optional and it helps quell the flinty ride from the available 20-inch alloy wheels. No XC60 or XC90—even the 400-hp T8s—has an especially athletic feel, but the drive mode selector can dial in more or less steering heft. Instead, these crossovers make sublime long-distance cruisers with their comfortable seats, hushed interiors, and excellent straight-line stability. 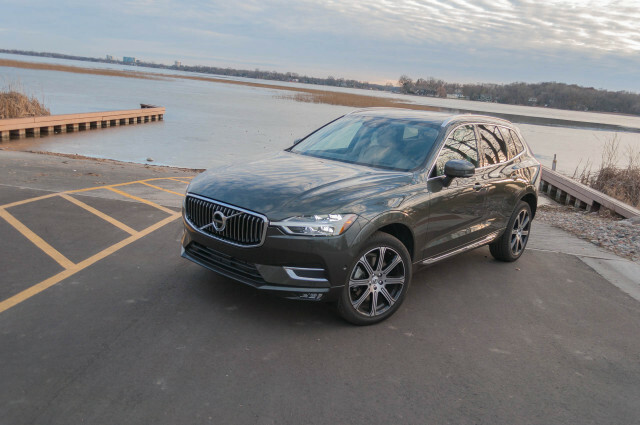 Though both Volvo crossovers are available in a similarly wide array of trim levels—Momentum, R-Design, and Inscription, depending on the powertrain chosen—the XC60 offers more bang for the buck at entry level. It starts at about $42,000, money that buys leather upholstery and all-wheel drive. A similarly optioned XC90 runs about $9,000 more. Otherwise, the XC60 nearly mirrors its big brother in terms of standard gear. Not only can these two crossovers apply the brakes automatically if they detect an impending collision, they can steer out of the way to try to avoid impact. 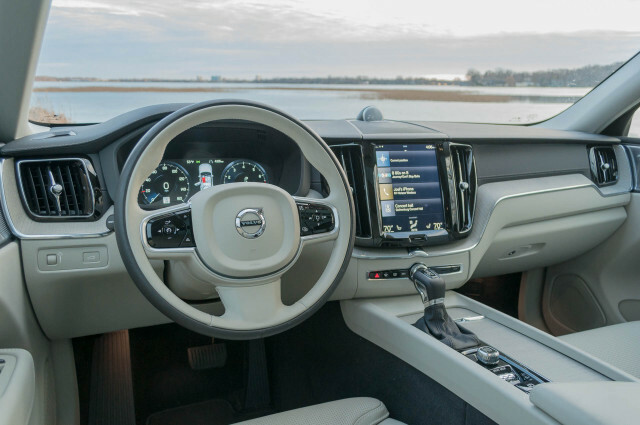 Volvo’s Pilot Assist—Level 2 autonomy gear—is optional on both. The system allows the car to take over steering, acceleration, and braking for brief bursts of time before the driver must retake control. Both crossovers share a 9.0-inch touchscreen for infotainment that’s mounted vertically. The infotainment software is tablet-like and easy enough to use after an acclimation, and it can be paired with pricey (but totally worth it) Bowers & Wilkins audio systems that are among the best we’ve heard in any vehicle. For hedonists, the XC90 Excellence runs upward of $100,000 and pampers in an almost Bentley-like fashion. It’s an extraordinarily well-equipped crossover SUV, but demand for megabuck Volvo SUVs has been predictably light. In the end, we think the XC60 will more than satisfy most crossover SUV buyers. Think twice about how much vehicle you really need—odds are the XC60 is just right. There are no Volvo dealers in our network that are located near the ZIP code. 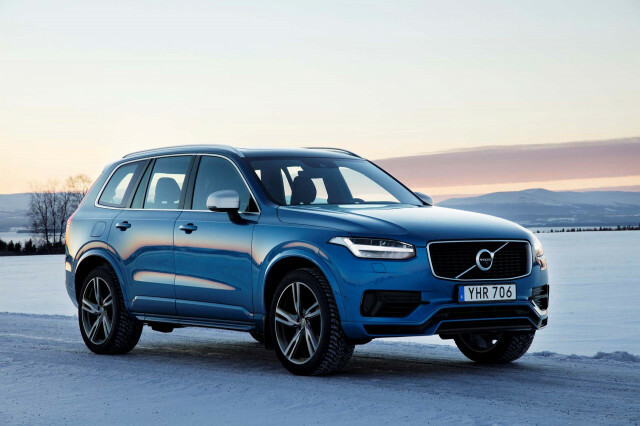 We have sent your request for price quotes on the 2018 Volvo XC60 and 2018 Volvo XC90 to the dealers you requested. They should be in touch shortly. 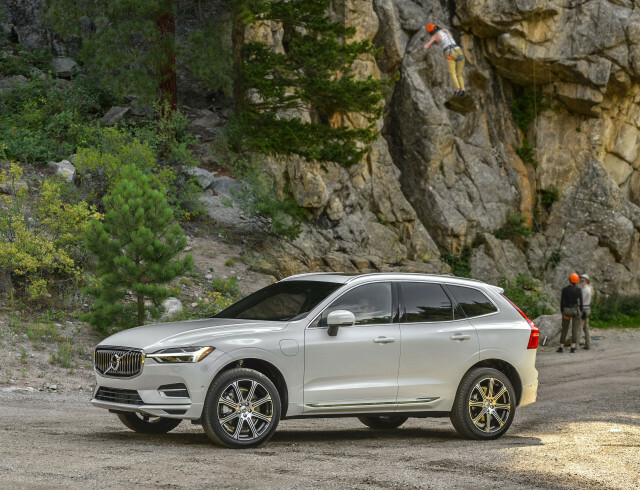 Your request for a fast, free price quote on a 2018 Volvo XC60 and 2018 Volvo XC90 is in process. The CarsDirect Dealer(s) listed below will contact you shortly to discuss your request and to provide a quote.